Free of all economic pressures from U.S. and the West, the Iranian are busy shopping for the Yalda eve. From the olden times, the Iranian have loved joy, knowing it to be a gift from God. The Nowruz, Mehregan Festivities, Chaharshanbe Suri, and other rituals are actually indicative of the fact that, when relieved from cruelty and injustice, the Iranian have held in thanksgiving festivities since thousands of years ago, celebrating the triumph of goodness over villainy, light over dark, and justice over injustice. Yalda is the longest night in the year. In the morning of Yalda light gains victory over dark and days begin to grow longer and the Iranian celebrate the symbolic rebirth of the Sun. 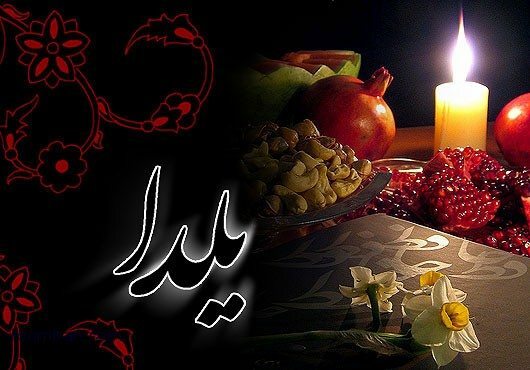 This year also the Iranian celebrate Yalda with their families. They often meet in an elderly’s where special food and traditional refreshments are served. They celebrate the night by giving each other gifts.